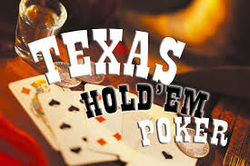 If you love to play Texas Hold Em or are interested in learning, then this is the group for you! We will begin this group in February. The first two weeks will be FREE lessons regarding how to play the game. A 6-week tournament will follow. $10 entry for each week. 1st, 2nd and 3rd place will be paid at the end of the tournament. Please contact Jerry at kiser6161@gmail.com or at 937-470-0730 if you are interested.